Mid-March, our Stairlift team were down in Waterford to install a new stairlift. 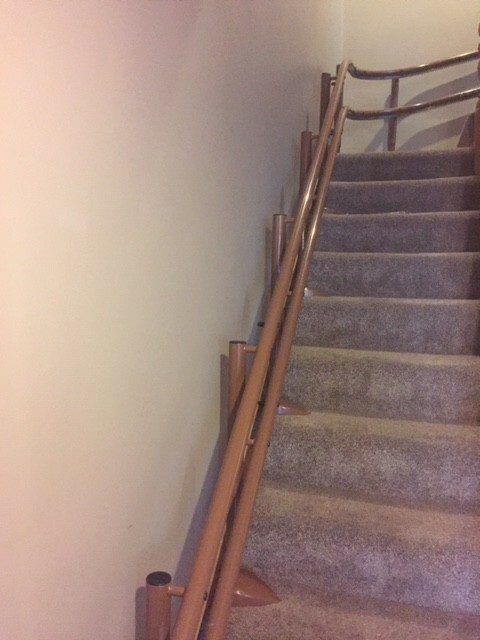 This was a very important installation as the user who was in her 80’s, was in a nursing home at the time of the installation and was waiting on the stairlift to be installed before she could come home. 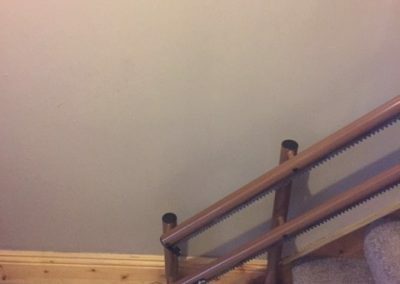 Once the stairlift in Waterford was installed, the user could move home and be back with her family so we needed to act fast and get this stairlift in Waterford fitted. Our sales team put the user’s family in touch with her area representative, Tom O’Dwyer. Tom called to their home and had a chat with the family. He answered any questions they might have in regards the stairlift. Once Tom answered their questions and put them at ease he proceeded with the free no obligation survey. 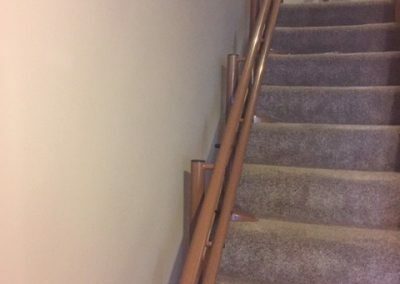 This is where Tom uses a camera to capture the angles of the stairs and the length of the staircase. 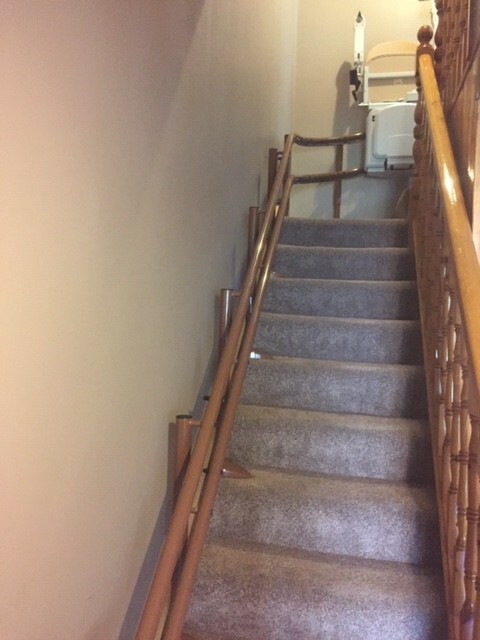 Tom and the user’s family then spoke more in detailed about the different needs they wanted the stairlift to meet and they then went through the different styles that were suitable for the home while also meeting the requirements. 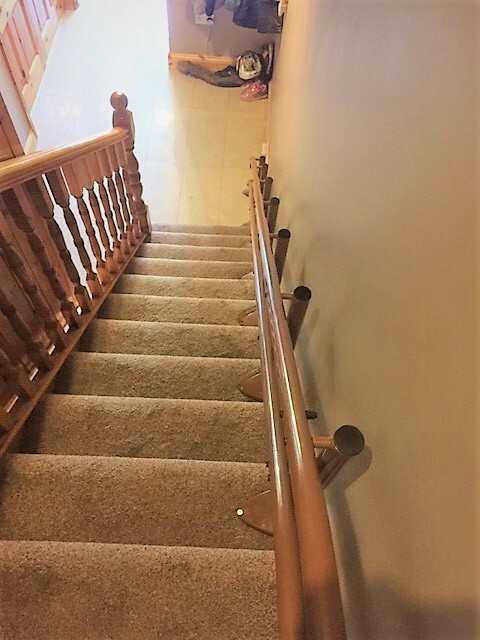 Our customer in Louth chose the Handicare 2000 Simplicity because of its dual rail which provides extra stability when using it. They chose a powered seat with a foldable function that makes the stairlift more discrete. 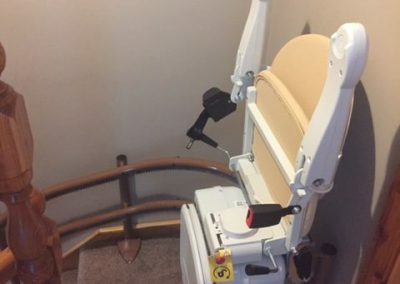 The seat also as a swivel function so when it lands at the top/bottom of the stairs, it turns to the user into a better position and assist them getting off the stairlift. The discrete folodable function on the seat and footplate allows the stairs to be clear when being used by other people in the home. The remote-controlled lift comes with two controls which can be kept at separate ends of the stairs. The rails come in three standard colours of a light grey, gunmetal grey or brown with a neutral sand coloured seat that’s easy to clean. This customer chose a brown rail and a sand coloured seat. 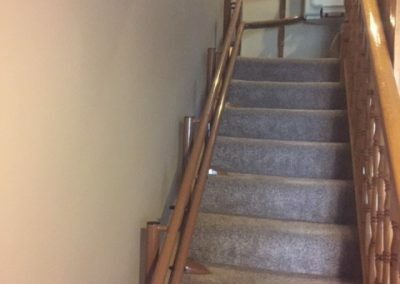 A big benefit of the Handicare 2000 Simplicity stairlift is the built-in safety feature for meeting obstacles on the stairs. 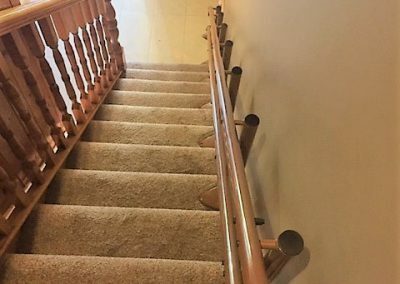 If the stairlift meets an obstacle, it will automatically stop and not move again until the obstruction is removed. 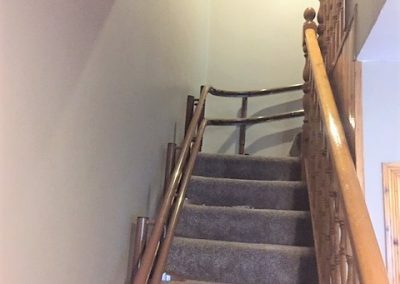 Once the customer was happy with the design and price, we scheduled a date with our installation team to visit the home and fit the stairlift in Waterford. 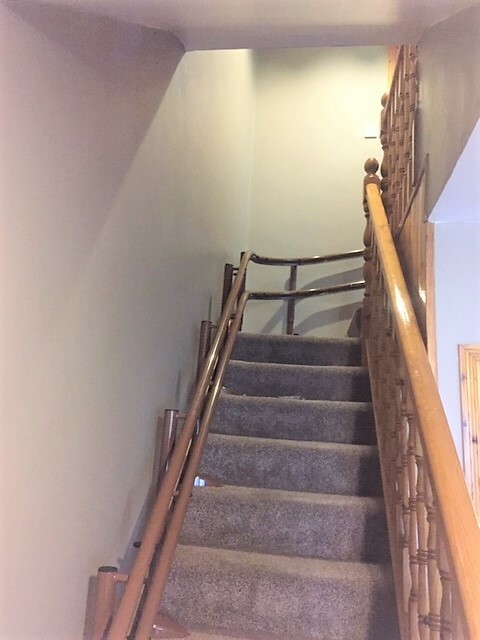 Our team installed the stanchions to the steps of the stairs, this ensures no damage to the walls, and then fitted the custom rail which neatly follows the angles of the stairs. 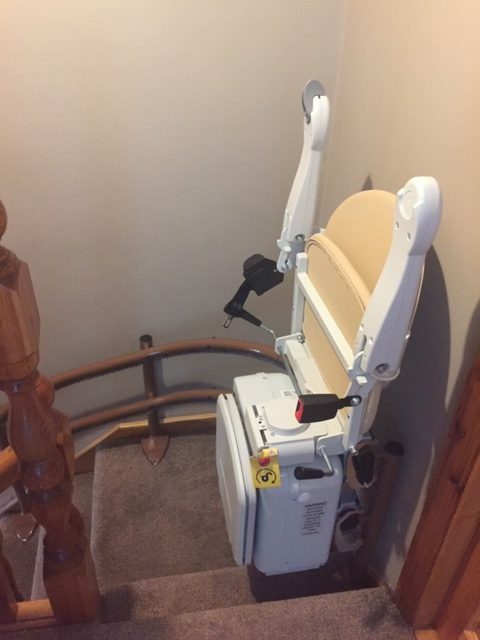 The stairlift installation was complete and ready to use within a few hours and our installation team then showed the family how to adjust the seat to suit the user. The Beechfield team member then gave a demonstration of how to use the stairlift controls. They showed them the function of each button on the controls, how to fold the powered seat and how to fold the powered footplate. After the demonstration was over, our team cleaned up the area where they were working, leaving it clean and tidy. 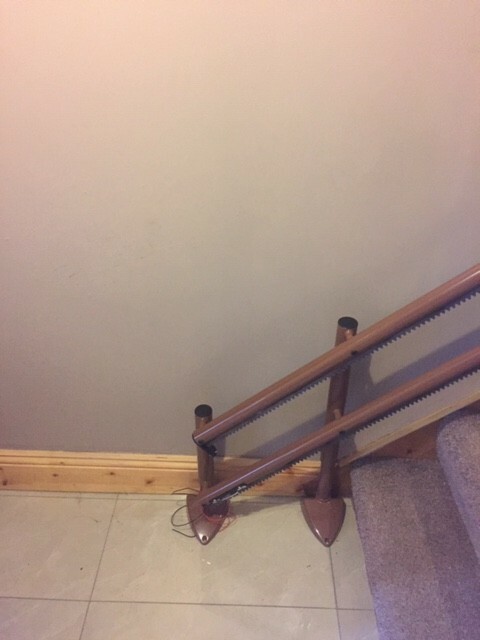 If you would like to more information about stairlifts in Waterford or the surrounding area, you can LoCall (0818) 277 496 or email info@beechfieldstairlifts.ie and Tom can visit you for a free no obligation assessment. We can also provide grant information and assistance for the Mobility Aids Grant which you can apply to your local County Council for on a means-tested application.